Ficken was waived by the Rams on Tuesday, Adam Schefter of ESPN reports. 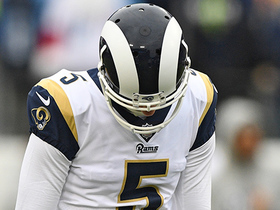 Analysis: Ficken missed two of three field-goal attempts with the Rams while filling in for Greg Zuerlein (groin) and will be replaced by Cairo Santos. If he goes unclaimed on waivers, Ficken will become an unrestricted free agent. Ficken connected on one of his two field-goal attempts and five extra-point kicks during Thursday's 38-31 win over Minnesota. His missed field goal was from just 28 yards. 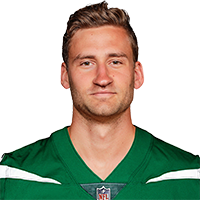 Analysis: The 25-year-old kicker has only converted one of his three field-goal attempts the past two games. While Greg Zuerlein's (groin) timeline is still up in the air, Ficken is probably on thin ice, if he even holds onto the job for next week's game against the Seahawks. 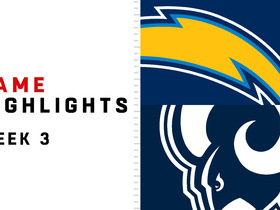 Ficken connected on five extra-point kicks but failed to hit a 46-yard field goal at the end of the second quarter during Sunday's 35-23 win over the Chargers. Analysis: While Ficken is definitely positioned to succeed and provide fleeting fantasy value while Greg Zuerlein (groin) is out of action, the interim kicker will need to convert his opportunities. Head coach Sean McVay is aggressive, so unless Ficken earns his coach's trust, the Rams could opt to push the offensive envelope more often instead of attempting long kicks. Ficken signed with the Rams on Monday, Clarence Dennis of the Rams' official site reports. Analysis: Ficken will fill in while regular starter Greg Zuerlein tends to a groin injury. The 25-year-old filled in for Zuerlein after the latter suffered a season-ending back injury late last season, hitting four of five attempts in three games. With Zuerlein expected to be out a few weeks, Ficken finds himself in an ideal scenario as the kicker for one of the most potent offenses in the NFL. 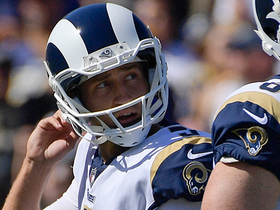 The Rams are expected to re-sign Ficken on Monday, Mike Garafolo of NFL Network reports. The Rams waived Ficken on Friday, Gary Klein of The San Diego Union-Tribune reports. 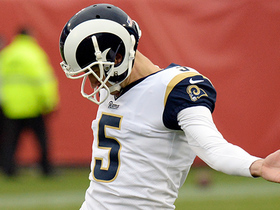 Analysis: Ficken rejoined the Rams in April after signing his exclusive rights tender but was unable to beat out incumbent kicker and long-time Ram Greg Zuerlein. Moving forward, Ficken's next opportunity may have to come via the tryout circuit, as it did last December. Ficken converted field goals of 35 and 32 yards in Saturday's 19-15 preseason win over Oakland. 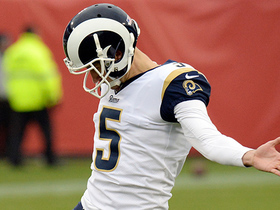 Analysis: Ficken did all of the Rams' kickin' in the second half, which included two punts for a total of 68 yards. With Greg Zuerlein over the back injury that sidelined him last year and Johnny Hekker locked into the starting punter role, there likely won't be a roster spot for Ficken in Los Angeles once the games start to count. Zuerlein converted two of his three field-goal tries in the first half. Ficken signed his exclusive rights tender from the Rams on Monday, Myles Simmons of the team's official site reports. Ficken connected on both of his field-goal attempts and his lone extra-point kick during Saturday's 26-13 loss to Atlanta in the wild-card round. 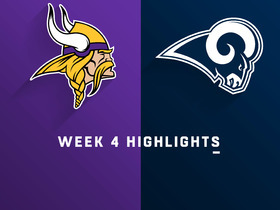 Analysis: Ficken suited up for three games with the Rams and connected on four of five field-goal opportunities and five of six extra-point attempts. Greg Zuerlein was having a historic season before being placed on injured reserve with a back injury following Week 15, and with his contract running through the 2019 campaign, Ficken is unlikely to return to the Rams to start the 2018 season if Zuerlein is healthy. 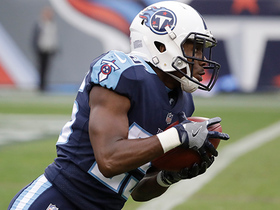 Ficken missed a 36-yard field goal as well as one of his four extra-point tries in Sunday's 27-23 win over the Titans. Analysis: Ficken's first career game didn't go as planned, as he managed just three points while misfiring on two occasions. While the Rams' high-powered offense figures to provide ample scoring opportunities, if Ficken can't get it together soon, they could deem him too risky to carry into the postseason. 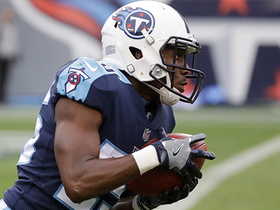 The Rams have signed Ficken, Myles Simmons of the team's official site reports. Analysis: The move comes after the Rams placed Greg Zuerlein (back) on IR, with Ficken immediately finding himself on the fantasy radar, given that Zuerlein led all NFL kickers with 158 points in 14 games prior to Wednesday's surprising development. Of course, Zuerlein's huge campaign was only partially a product of the Rams' efficient offense, as his proficiency on long field goals -- 18 of 19 from 40-plus yards -- helped him compile some points that many kickers would've left behind.